The past few months have been busy in Mississippi as far as the blues are concerned. There are always several blues festivals during the summer months that allow the body to enjoy great music, food, and beverages at 100+ degree temperatures. The past couple of months, the state was part of the wonderful Bridging the Blues events that took up twelve days in late September and early October. 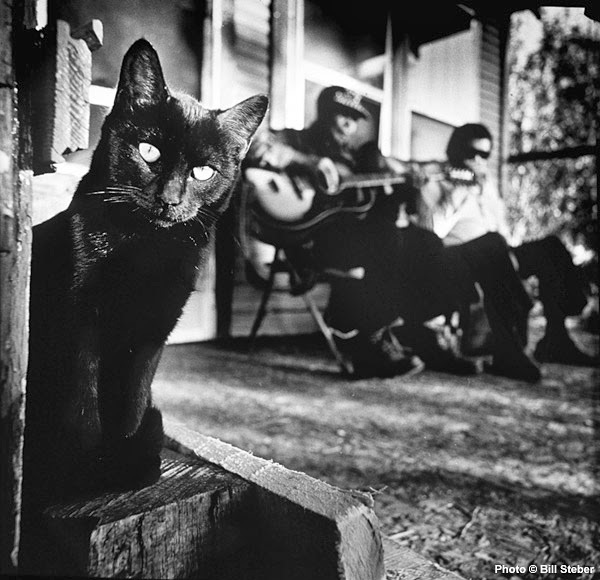 Occasionally, Friday Blues Fix will take a look at what's going on in the Magnolia State....after all, it's like home to us....so this week, we will look at some things that have been going on, that will be going on, and maybe turn you on to some tunes by some fellow Mississippians that deserve to be heard. So, check it out, y'all!!!! 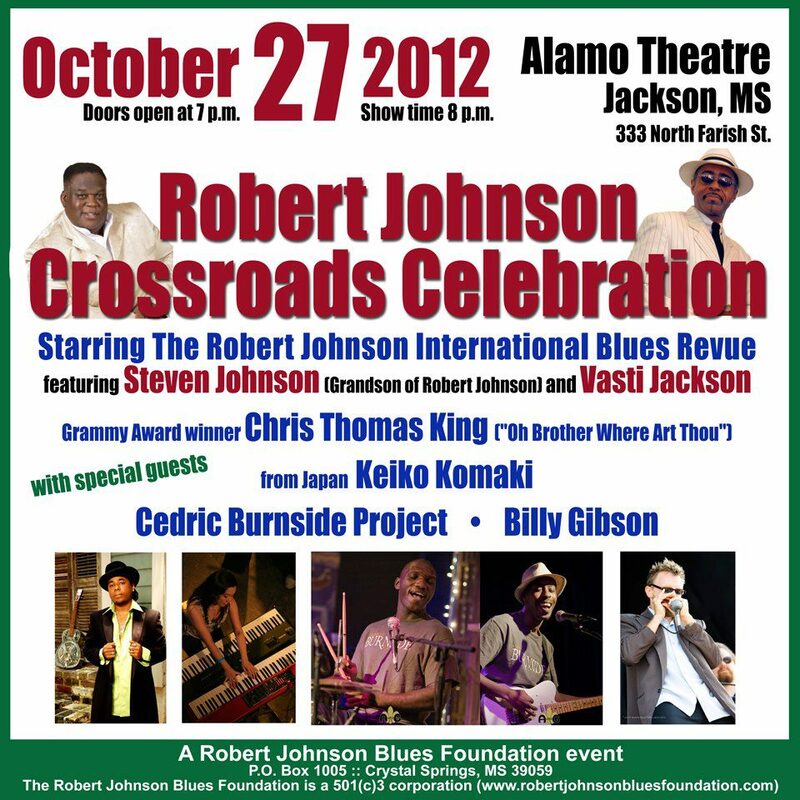 The Robert Johnson Blues Foundation will be presenting the Robert Johnson Crossroads Celebration this Saturday (October 27th) in Jackson, MS at the famed Alamo Theatre downtown on Farish Street, beginning at 8:00 pm. As you can see from the poster on the left, there's a pretty impressive list of musicians appearing, including Vasti Jackson, Chris Thomas King with special guests Cedric Burnside, Billy Gibson, and Japanese blues artist Keiko Kamaki. 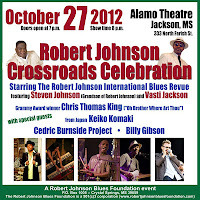 Robert Johnson's grandson, Steven Johnson, will also be appearing. You can buy tickets in advance ($20.00 each....they're $25.00 at the door) through Paypal by visiting the Robert Johnson Blues Foundation website. Here are a couple of videos from Chris Thomas King and Vasti Jackson to give you a taste of what to expect on Saturday night. 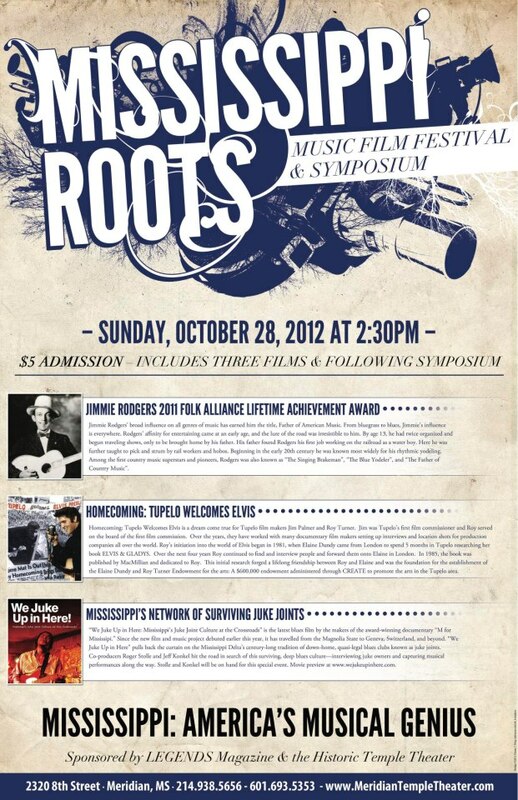 Also this weekend, in Meridian (about 90 minutes east of Jackson), there will be a Mississippi Roots Music Film Festival and Symposium taking place on Sunday, October 28th, at the Temple Theatre in the downtown area, just a few blocks from the Riley Center. For a $5 admission, there will be three films and symposiums....one about Jimmie Rodgers, one about Elvis Presley, and one featuring....wait for it....the movie We Juke Up In Here!!!! Filmmakers (and fellow FBF'ers) Roger Stolle and Jeff Konkel will also be present for the showing. All of those films will be worthwhile viewing, but if you haven't seen We Juke Up In Here! yet, your blues credentials could be in danger of being revoked. Local blues lovers, now's your chance to keep that from happening. It all starts at 2:30 pm on Sunday. Last week, we told you about the 424 Blues Cafe' in downtown Philadelphia, MS. They held an Open House last Saturday, during the town's annual Octoberfest celebration, to allow the curious to drop by and see what was in store for them in a few short months.....good food and drink and great music. Capping off the festivities was a free performance by Jackson bluesman, Louis "Gearshifter" Youngblood, one of the stars of We Juke Up In Here! Youngblood played his irresistible mix of urban blues and deep soul for about two hours, even graciously stepping aside a couple of times to allow some local talent the opportunity to show what they had. His guitar work was first-rate, as was his singing. He did a mix of covers and originals with a pair of local musicians on bass and drums. I urge you to check Mr. Youngblood out first chance you get. In the meantime, check out the clip below (filmed in Pennsylvania during the summer) to get a taste of what you missed this past weekend. The 424 Blues Cafe' will officially open in a few weeks, so keep an eye on this blog for further info. As we said last week, owner (and fellow FBF'er) Lenard Ingram plans to have live music on Fridays and Saturdays for starters, but hopes to add Thursdays as soon as possible. 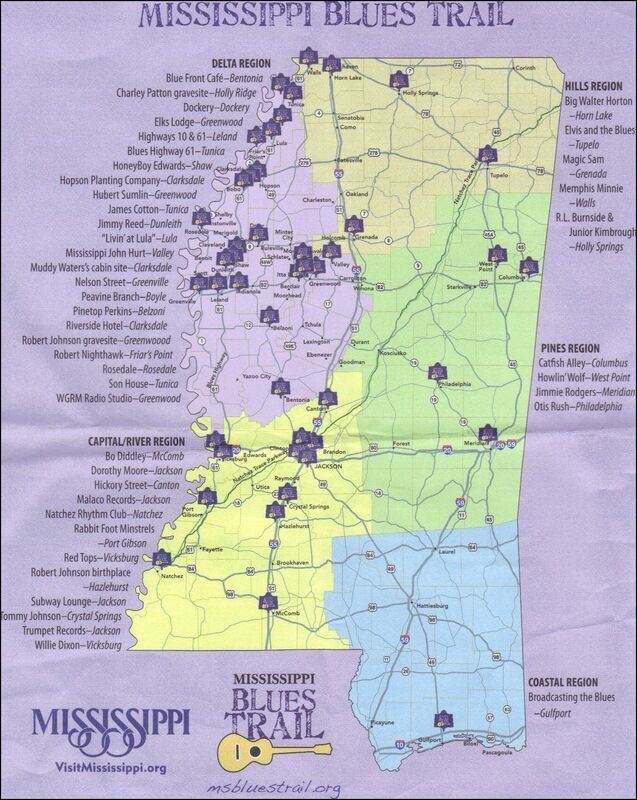 It's going to be a really cool place for east central Mississippi and west central Alabama blues fans to check out the blues without having to drive a long way to do it. There are several other events taking place this weekend, too. The state is dedicating a stretch of Interstate 55 near Crystal Springs to Robert Johnson on Friday, designating it as the Robert L. Johnson Memorial Highway. The ceremony will take place at Exit 72 in Copiah County, just off of I-55 southbound. The house where Johnson was born was supposedly located at the site of one of the Interstate exits at Hazlehurst. Also in Crystal Springs on Friday, the grave of bluesman Tommy Johnson is finally getting a headstone. Chris Thomas King, who played Johnson in the movie, O, Brother Where Art Thou, is slated to appear as part of the ceremony. The headstone dedication is also part of the Tommy Johnson Blues Festival, which also takes place this weekend, with Eden Brent scheduled to headline. 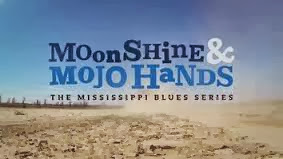 As we sign off for the week, check out a few examples of Mississippi Blues......starting with the legendary Son House, from a 1960's performance. Hill Country master R.L. Burnside plays his original tune, "See My Jumper On The Line," circa 1978. Booker T. Washington "Bukka" White recorded in the 30's and later on in the 60's and 70's. A cousin of B.B. 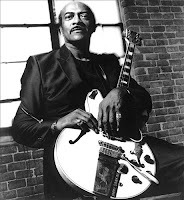 King, White's slide work was highly influential, and some of his songs are considered classics today, like "Fixin' To Die Blues," "Parchman Farm Blues," and his version of the standard, "Shake 'em On Down" is considered to be the definitive version. Another favorite is "Aberdeen, Mississippi Blues," as heard below. And, of course, here's Bukka White's famous cousin from 1974, telling us why he sings the blues. We'll close out with a look at Grady Champion, one of the younger Mississippi blues artists who is now building a big following here and worldwide, especially after winning the IBC a couple of years ago. Champion is a master showman who appears regularly around the state and frequently in his hometown of Canton, MS and around the Jackson area. This is the video of one of his most recent releases, "Make That Monkey Jump." Twenty-five years ago, Peter Guralnick changed my life. It all started with his new book at the time, Sweet Soul Music. Although, I was a big fan of soul music prior to buying the book, my eyes got opened much wider because I was able to find out more about some of my favorite singers (Sam Cooke, Otis Redding, James Brown, Ray Charles, Wilson Pickett, Al Green), and was introduced to a lot of artists I'd never heard of (Solomon Burke, Dan Penn, and Clyde McPhatter). However, the one who made the biggest impact on me, not just because of his talents, but also because of his tragic circumstances, was James Carr. Carr possessed one of the most amazingly soulful voices, rivaling those of Redding, Percy Sledge, Pickett, and even Aretha Franklin. Indeed, some of his recordings are considered to be masterpieces of southern country soul. Despite his talents, Carr was never able to achieve or maintain any real success as a performer. The main reason for his lack of success stemmed from his lifelong battle with depression, which made touring and even recording a session an arduous process. Carr was born in 1942, near Clarksdale, MS, but his father, a minister, moved him and his family to Memphis when he was very young. Young James started singing in the church at nine and by the time he was a teenager, he had performed with several Memphis-area gospel groups, such as the Sunset Travelers and the Harmony Echoes. 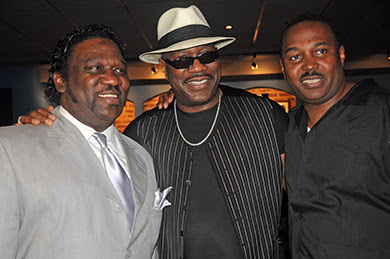 A young man named Roosevelt Jamison sang with the Redemption Harmonizers and he and Carr struck up a friendship during the mutual appearances. In addition to singing, Jamison was also a songwriter. In fact, he had just penned the song, "That's How Strong My Love Is," for O. V. Wright. 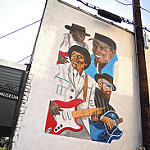 Wright was recording for Goldwax Records in Memphis at the time, and Jamison knew that the label was looking for fresh young talent in order to compete with the more dominant Memphis label, Stax. Goldwax soon lost Wright, who had previously recorded with Duke/Peacock Records and was forced to honor his contract with the Houston label, so Carr was at the right place at the right time and found himself being groomed to be Goldwax's next big soul star, releasing his first single in 1964. 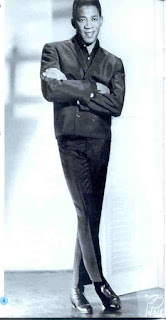 In 1966, Carr had his first hit, with "You've Got My Mind Messed Up," which stayed on the R&B charts for two months, peaking at #7. Even more impressive, the single made it to # 63 on the Pop charts, a rare trick for a single released on a small Southern-based label. The song was written by O.B. McClinton, who also recorded for Goldwax and several other labels, and whose songs often charted on the Country & Western charts. Carr's next hit was the Dan Penn/Chips Moman classic, "The Dark End of the Street." Although this song didn't chart as well as "You've Got My Mind Messed Up" (# 10 R&B, #77 Pop), the song has enjoyed lasting popularity, having been recorded by countless soul and country artists over the years, and even showing up on the 90's movie, The Commitments. This is the song that James Carr is remembered for. His performance on the single has to rank as one of the all time deep soul vocals to be committed to wax. Carr recorded some other high quality soul tracks during this time, like "Love Attack," "Pouring Water on a Drowning Man," "Life Turned Her That Way," "Freedom Train," and "These Ain't Raindrops." 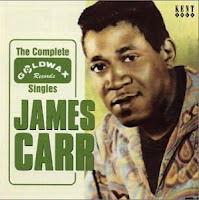 Carr had nine singles to make it to the R&B charts (seven of which crossed over to the Pop charts), recorded some of the most intense southern soul records ever, and he toured stateside with artists like Wilson Pickett, James Brown, and Otis Redding. So, why didn't he reach the heights of fame that some of his contemporaries did? Some of the problems began with his material. Though he did record some excellent songs, his catalog was not of the consistently good quality that his contemporaries at Stax enjoyed. Also, Carr had married at a very young age and had seven sons, so maybe his commitment to stardom wasn't as strong and single-minded as others. However, the main reason for Carr's difficulties stemmed from his constant battle with severe depression. His friend, Roosevelt Jamison, started out serving as his manager, but soon ended up serving as his caretaker. 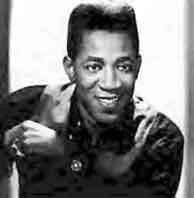 Soon after his hits began charting, Carr signed with Phil Walden, Otis Redding's manager. Without Jamison, Carr's often found himself unable to deal with the pressures from success, touring, and recording. By 1968, Carr's condition was so bad that he was having problems even recording. During his last session, Carr sat at the microphone for hours, staring into space, managing to record only one song ("To Love Somebody," the Bee Gees hit). Goldwax soon went under, but no one would touch James Carr with a ten foot pole. Atlantic signed him in the early 70's, but he only recorded one single. Throughout Carr's life, his greatest champion and friend was Roosevelt Jamison, who tirelessly worked to help get the singer the recognition and success he deserved. In the late 70's, Jamison recorded Carr on his own River Bank label, and helped bankroll a Japanese tour in 1979 that went well until Carr suffered a meltdown during the Tokyo show, apparently taking too much medication and ending up in a catatonic state in front of the microphone. After that, Carr returned to Memphis, where he alternated between living with his sister and spending time in various institutions. 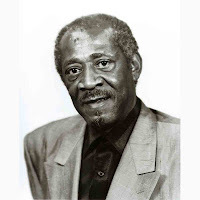 In the early 90's, after the release of the book, Sweet Soul Music, there was a renewed interest in his music, so there were a few attempts to get James Carr's recordings back in stores where people could hear what the fuss was about. In the early 90's, Carr's condition improved enough that Jamison and former Goldwax head Quinton Claunch were able to record an album with Carr called Take Me To The Limit. While the album didn't really hold up to Carr's magnificent 60's sides (too many synthesizers and electric drums and horns), Carr sounded very good and it was really good to have him back recording. He followed up that recording with another one in 1994, called Soul Survivor, but was soon diagnosed with lung cancer and died after a lengthy battle in January, 2001. Carr's recording legacy is not as strong as some of his contemporaries, but his performances were magnificent, even on the lesser material. He ranks as one of the greatest soul singers ever, talent-wise and soul and blues fans who are familiar with his work regard him with admiration and respect. If you've not experienced the wonders of James Carr, here's a couple of recordings for you to consider. The Complete Goldwax Singles (Kent) - This contains every side that James Carr recorded for Goldwax in the 60's. All of his classic material is presented here, along with the more Motown and pop-oriented tracks. The fact is that Carr sounded good singing just about anything, so while the song quality may not always be there ("Row, Row Your Boat," anyone? 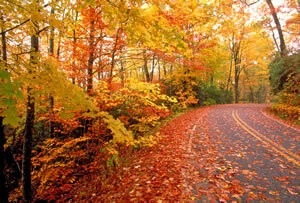 ), it's the place to go for the complete early recordings. The Essential James Carr, from Razor & Tie Records, has twenty of his best Goldwax sides, so it could serve as a cheaper, but less complete alternative. Simply put, every fan of soul music should have one of these collections in their possession. A Man Worth Knowing - The 1990's Goldwax and Soultrax Recordings (Ace) - The recordings that Carr made in the 1990's don't hold up as well as his 60's work, but it's largely due to those cheap production values with electronic drums, horns, and synthesizers. The man doing the singing is just fine, thank you, and sounds pretty darn good on these tracks, which include a "modern" version of "Pouring Water on a Drowning Man." All in all, not a bad purchase, but get the 60's recordings first. This week is Fall Break, which means that my kids will be out of school for a couple of days, so I am going to spend a little time with them and put everything else on the backburner for a bit. Of course, I would never completely neglect all the loyal Friday Blues Fixers out there, so let's look at a few videos that may or may not serve as sneak previews for upcoming posts. 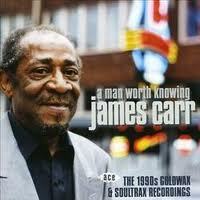 First up is soul singer James Carr. Carr was one of the finest country soul singers ever, with a deeply emotional style and delivery. He's best known for recording the definitive version of Dan Penn's "Dark End of the Street," one of the most-recorded soul songs ever (by soul and country singers alike). Tragic circumstances prevented Carr from achieving any long-term success, but he left behind an impressive body of work, like this splendid version of the Bee Gees' (yes, the Bee Gees) "To Love Somebody." You will be seeing a post on Carr in the near future. 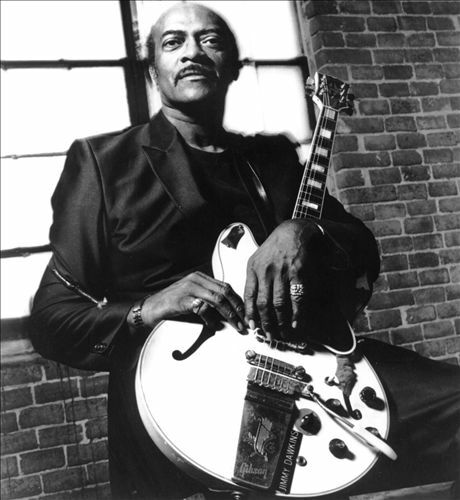 Next up is Chicago guitarist Jimmy Dawkins. Dawkins earned the nickname "Fast Fingers" when he first began playing on the West Side, but it's never really fit his style, which is more of a fiery slashing and surging style, not so much a speedy style. He's not really a flashy guitarist or master showman either.....his songs are pretty intense and brooding and go perfectly with his terse vocal style and guitar work. Though he's recorded sparingly over the past forty years, most of what he has released is very good. His best work was recorded on Earwig Records in the early 90's. Called Kant Sheck Dees Bluze, it features some of his finest guitar work and his best work as a vocalist. Below is the intense title track and you can feel the intensity every time he bends a string. Over the years, Dawkins has branched out from performing. He owned his own label, Leric, for a while, and has given lots of local Chicago musicians opportunities to perform and record. 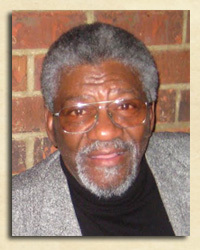 He even served as a contributing columnist for Living Blues in the magazine's early years. One more before we go. Check out Lazy Lester doing one of his most beloved tunes, "Sugar Coated Love." 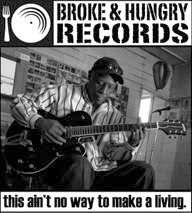 This was recorded at a Summer of 2012 appearance at Antones' Records in Austin. I could listen to this guy all day long and part of the next day, too. If you're not familiar with this wonderful performer, you should check out a couple of his CDs. They're all great. For all you local blues fans, here's a bit of news that may be of interest. Fellow FBF'er Lenard Ingram is preparing to open a new cafe in Philadelphia, MS. Called the 424 Blues Cafe', Ingram plans to have an Open House next Saturday night (October 20th), beginning at 10:00 am and going on until around 11:00 pm. 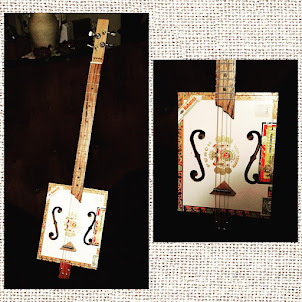 The Open House will feature art displays and a free show, beginning around 8:00 pm, featuring Louis "Gearshifter" Youngblood (one of the featured musicians on the recent movie, We Juke Up In Here!). 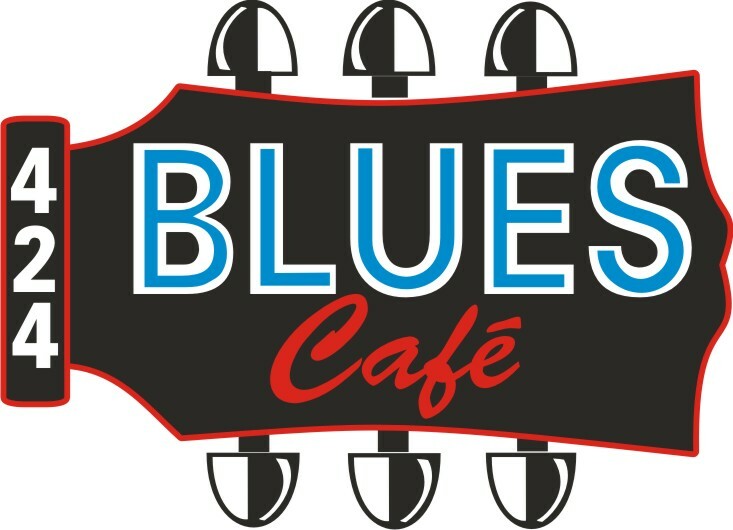 The 424 Blues Cafe' plans to feature great food and live music every Friday and Saturday night, hopefully adding additional nights in the future. For more information, you can visit the Cafe's Facebook page. We will be back next week with more good blues for you. Have a great weekend. We talked a little bit at the end of last week's post about the ongoing Bridging The Blues project, a 12-day wall-to-wall bluesarama that encompasses four separate festivals, blues-related arts and crafts and exhibitions, and countless musical performances in numerous delta towns throughout Mississippi, Arkansas, and Tennessee. Hopefully, this ambitious project will become an annual event and will allow even more people from all over the world to find out more about this fascinating music and culture. 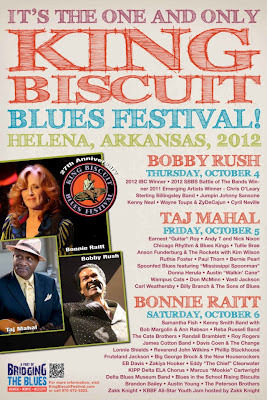 The centerpiece of the project is this weekend's King Biscuit Blues Festival, which is held each October in Helena, Arkansas. This three-day event is one of the biggest blues festivals in the country, with humble beginnings in the mid-80's, as an attempt to revitalize the then-decaying downtown Helena area. It has since expanded to a five-stage festival that attracts hundreds of thousands of blues fans every year, along with some of the best and brightest artists that the blues has to offer. This year is no exception, with three outstanding headliners - Bobby Rush (Thursday), Taj Mahal (Friday) and Bonnie Raitt (Saturday) - set to rock the house. However, a lot of blues folks will be avoiding the hustle and bustle of the main stages to catch some of the talent playing on other stages. If they do, they will be experiencing music from artists like Kenny Neal, Jumpin Johnny Sansone, Cyril Neville, and Wayne Toups and ZyDeCajun (Thursday), Bernie Pearl, Ruthie Foster, The Wampus Cats, Anson Funderburgh and the Rockets (with Kim Wilson), Paul Thorn, Vasti Jackson, Carl Weathersby, and Billy Branch and the Sons of Blues (Friday), and Davis Coen, Lonnie Shields, Samantha Fish, David Berntson, Kenny Smith, Bob Margolin, Ann Rabson, Reverend John Wilkins, Reba Russell, Fruteland Jackson, Randall Bramblett, the Cate Brothers, Big George Brock, Roy Rogers, EB Davis, James Cotton, and Eddie "The Chief" Clearwater (Saturday). Now, friends....you can't beat that action with a stick. That's more blues in one place at one time than many people experience in a lifetime. 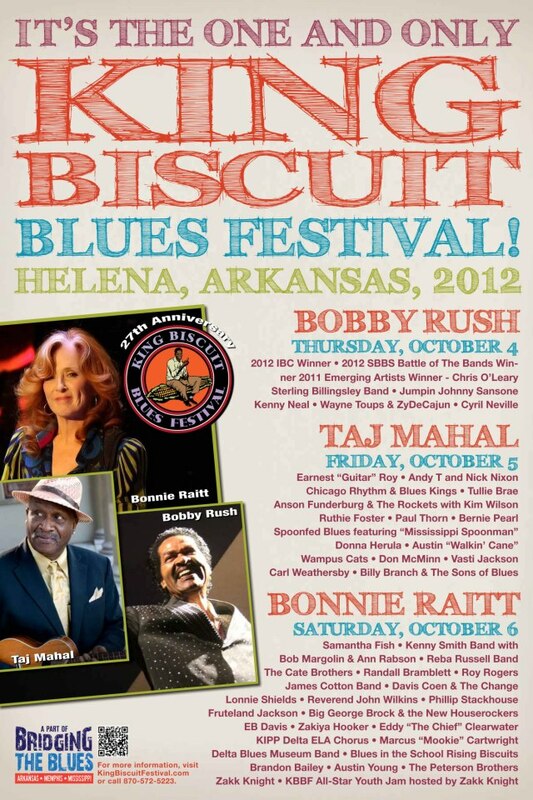 For the daily King Biscuit line-up, you can visit the festival website. For other related shows in the area over the next few weeks, visit Cat Head's live music calendar page. Unfortunately, I won't be able to attend, but will be there in spirit. 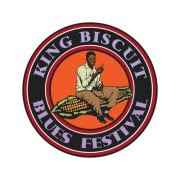 Hopefully, we can get a first person account from some fan lucky enough to attend, but in the meantime, as a public service to those of you who also won't be able to attend, the least I can do is provide you with some stellar tunes from previous King Biscuit Blues Festivals to at least put you in the mood. Never say that I'm not looking out for all of you the best way that I can. Here's a general overview of the Festival, filmed by somebody during last year's festival...to sort of give you a feel for what will be going on this weekend. Carl Weathersby will be appearing at this year's festival. Weathersby has battled back from some health issues in recent years and it's great to have his powerful, Albert King-influenced guitar work front and center again. Smokin' Joe Kubek and B'nois King are a dynamic pair of guitarists who specialize in rugged Texas blues and soul. While they're not listed as appearing this year, they have just released a great acoustic CD on Delta Groove Records that is worth a listen. This clip is from a couple of years ago at the Biscuit. A band that will be appearing this year is the acoustic duo, Tyrannosaurus Chicken. 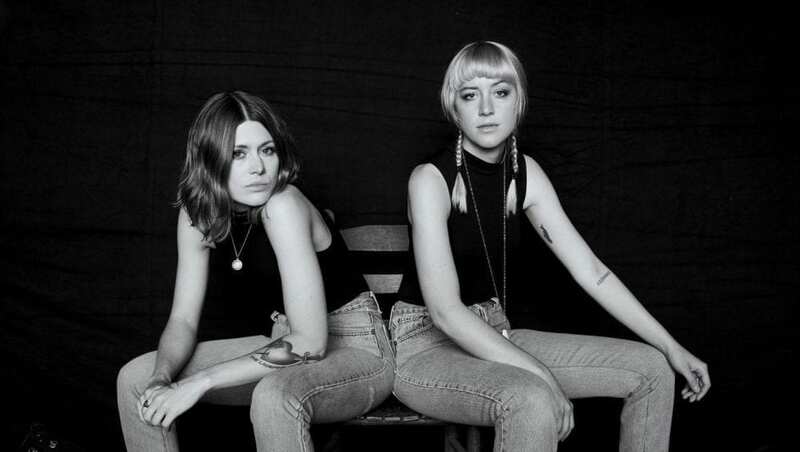 This pair makes some mighty good music and have a growing fan base in the delta region. Here's delta bluesman/ace mechanic Johnny Billington, playing the blues standard "Stormy Monday." For years, Billington has spent his spare time teaching local kids how to play the blues at Johnny Billington's Blues Academy. He had seen that most of the kids in his neighborhood didn't have a place to go or things to do for fun, so he did it part to give them an opportunity to learn something and also to help keep them out of trouble. Billington's been doing this for over twenty years. Finally, here's an amazing tune from Mississippi's own Dexter Allen, from last year's festival. The guy playing drums at the end of the clip is Derrick "D'Mar" Martin from D'Mar & Gill. 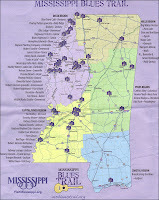 As you can see, there's any and all sorts of blues being played this weekend in the delta. If you're able to get down here even for a day, it's definitely worth your time. 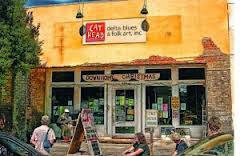 While you're here, make plans to enjoy the remaining festivals that will be coming up, including the Cat Head Mini Blues Festival at Clarksdale in front of the Cat Head store on Sunday, the 7th, from 9:00 am until, followed by the Pinetop Perkins Homecoming in Hopson that same day in the afternoon.